Should Everyone Trip Balls at Least Once in Their Lifetime? In recent years, researchers have been hard at work identifying psychedelic drugs — including LSD (acid), MDMA (ecstasy) and psilocybin (magic mushrooms) — as promising therapeutic agents for conditions like alcoholism, PTSD, depression, anxiety and even impending death. Naturally, these learnings lit a fire under hallucinogenic enthusiasts, who have long been preaching the benefits of using psychedelics to enter a higher state of consciousness. Their message is clear: You’re missing out on something that may vastly improve your outlook on life by avoiding psychedelics altogether. But while these substances may very well provide some users with a life-changing experience (for better or worse), is it really one that everyone can (and should) benefit from? We rounded up those closest to psychedelic drugs — from researchers to hippies — to share their thoughts. But there are definitely certain settings in which the risks are amplified and the potential benefits not well set out: Dropping acid at a rock concert, or in a place where you don’t have much control over what’s going on and people can get into your face, for example. That’s much more risky. It’s also about the attitude one has toward it. Are you going in thinking this is a dangerous hallucinogen that will make you crazy — which will amp up your anxiety and fear — or are you going in thinking this is a sacred medicine that’s going to allow you to connect with your ancestor’s spirit? Indigenous people don’t even think of psychedelics as illegal drugs — they think of them as sacred plant medicines that are often imbued with spirits, and they have better experiences as a result. Knowing that, should everybody have these experiences? No, definitely not. There are some people clearly for whom these substances aren’t appropriate. There are people who have particular mental disorders — psychosis, schizophrenia, bipolar disorder — that might make them very unsuitable candidates for this kind of experience. But if suitable candidates have the interest or inclination to take these substances, there should be a legal framework in which that can happen. Here’s one more thought: Taking a psychedelic is like taking a journey to a strange foreign country (an analogy used by Aldous Huxley, who described the psychedelic state of consciousness as the “antipodes of the mind”), so the “trip” metaphor in popular terminology for these experiences is quite accurate. However, like any travel opportunity, while there can be immense value from the experience, it may well not be appropriate for everyone, requires adequate research and preparation and may involve some risk. Matthew Johnson, behavioral pharmacologist at Johns Hopkins University: No, I definitely don’t think everyone should try psychedelics. I’ve conducted research, including therapeutic trials, with these compounds for 14 years, and although good evidence suggests that classic psychedelics have therapeutic potential when administered to well-screened and prepared participants in a safe environment, it’s unquestionable that classic psychedelics also carry risks. These include exacerbating psychotic disorders or instigating onset of psychosis in those vulnerable to it, and for anybody taking these compounds at a sufficiently high dose, the potential for accidental or otherwise dangerous behavior in response to strong anxiety or delusions. My colleagues and I have published a review paper, which has helped to provide safety standards for the emerging field of psychedelic medicine. It thoroughly reviews these safety concerns. Adam Gold, a music critic who regularly covers the Bonnaroo Music and Arts Festival for Rolling Stone: First off, there are people who might not be in the best mental condition to take psychedelic drugs — they can be a bit of a mental palate cleanser. But generally speaking, I think most sane and mature people can benefit from psychedelics. They knock a screw loose — or open a window — in your brain, which provides you with a different perspective on things. I’ve never actually had a bad experience because of a psychedelic drug in and of itself. 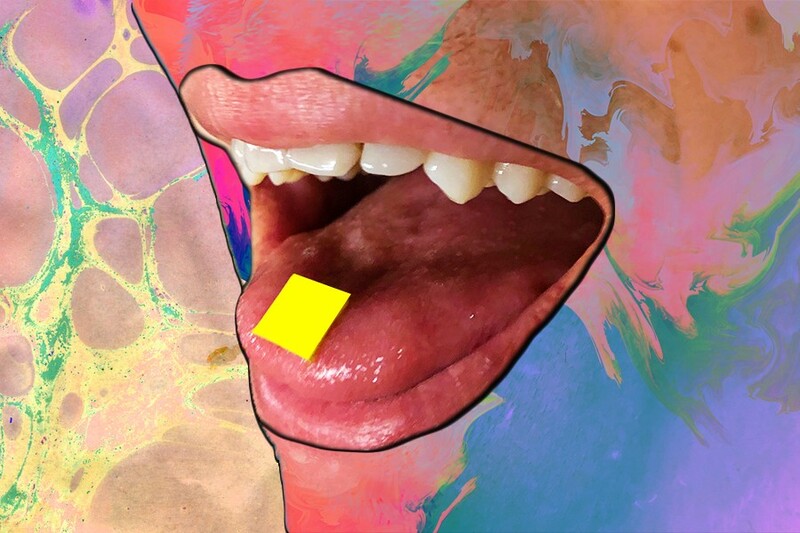 The idea of a “bad trip” is sort of a myth — you are the variable in that situation. There are people who are afraid of psychedelic drugs, because they’re scared of experiencing a “bad trip.” But in reality, they’re afraid of themselves. Psychedelic drugs allow you to peek under the hood of your brain, and some people are afraid to do that. Even if you’re navigating an intense time of your life and experience an intense or traumatic trip as a result, you’ll feel like you pushed that feeling out of your head when you come down. The one recommendation I have for people trying psychedelics these days is to turn off your phone — you never know what kind of phone call you’ll get while tripping.